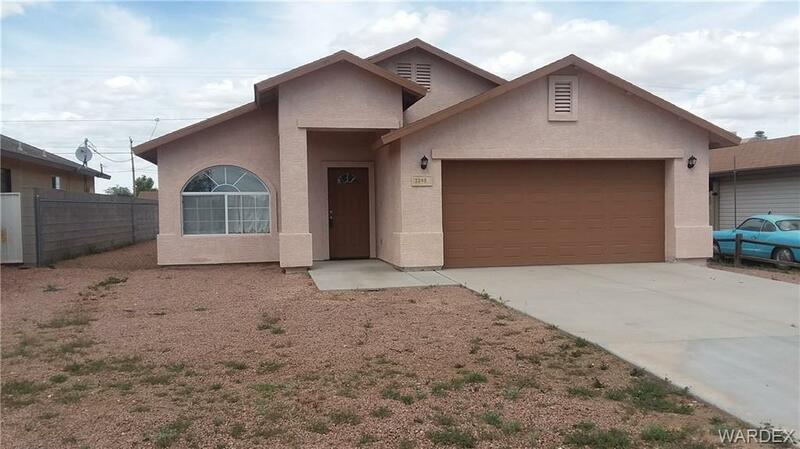 Very nice 3 bedroom, 2 full bath home with 2 car garage very close to Mohave Community College. Living room and family room. Nice kitchen with golden oak cabinets. Dining area with sliding glass door to patio. Recently painted inside and outside trim. New carpet. Indoor laundry. Large bathrooms. Fenced back yard. Landscape rock front and back.